Admission is based on undergraduate record (coursework, laboratory experience, and grades), letters of recommendation, and performance on the GRE test. Coursework in general genetics, molecular genetics and biochemistry are essential. Applicants whose native language is not English should plan to take the Test of English as a Foreign Language (TOEFL). To be eligible for an invitation to our annual recruiting weekend held in February, domestic applications must be submitted by December 1st. Early application is recommended. In the fall of the first year, the students perform laboratory rotations and start their graduate courses. The laboratory rotations provide an opportunity to evaluate suitable laboratory environments for their graduate research. It is anticipated that most students have decided on a research laboratory by the start of the second semester. During the second and third semesters, students provide teaching assistance to Undergraduates in Genetics to gain teaching skills. However, the main focus is on getting a research project started, with the assistance of the thesis advisor and three additional faculty, who form the thesis committee. This period is also the time when students will prepare for their preliminary examination, to be taken by fall of the third year. The third, fourth and fifth year are dedicated to continuing and completing the thesis project, presenting data at conferences and publish the work, followed by the thesis defense. Generally, 4 to 5 years of study is required to complete 96 semester hours with a GPR of 3.0 or higher. The Ph.D. degree is awarded principally on demonstrated ability to conduct significant and original scientific research. Our students are expected to present their research at national and international conferences and publish in established, high-impact peer-reviewed journals, and their teaching experience provides an additional valuable asset for future job opportunities. Our PhD graduates have been successful in obtaining faculty positions in top research Universities, teaching colleges, as well as companies in the fields of biotechnology, pharmaceuticals and agriculture. First-year graduate students are currently supported with the equivalent of a $28,000/year stipend. During the first year, compensation includes a teaching assistant position in the undergraduate genetics laboratory course plus 3-months of summer support, medical insurance benefits, and paid tuition and fees. After the first year in the program, the annual stipend, health insurance, tuition and fees are covered by the graduate student's principal investigator. The cost of living in Bryan-College Station (BCS) area is one of the lowest across the nation. For example, a stipend of $28,000 in College Station is equivalent to a $35,338 stipend in Miami (Fl), $47,827 stipend in Los Angeles (CA) and $51,799 stipend in New York (NY). In addition, BCS is located less than a hundred miles away from two of the largest cities of Texas, Austin and Houston. In fact, BCS is located within a 180-mile radius of over 80% of the Texas population. 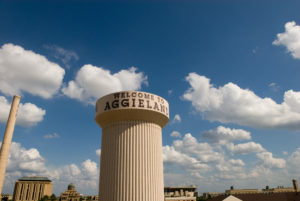 College Station is also considered one of the nation's friendliest places to live, has been ranked No. 3 on Kiplinger magazine's list of 10 Great Places to live, and is considered by Forbes to be one of top five college towns in the nation.